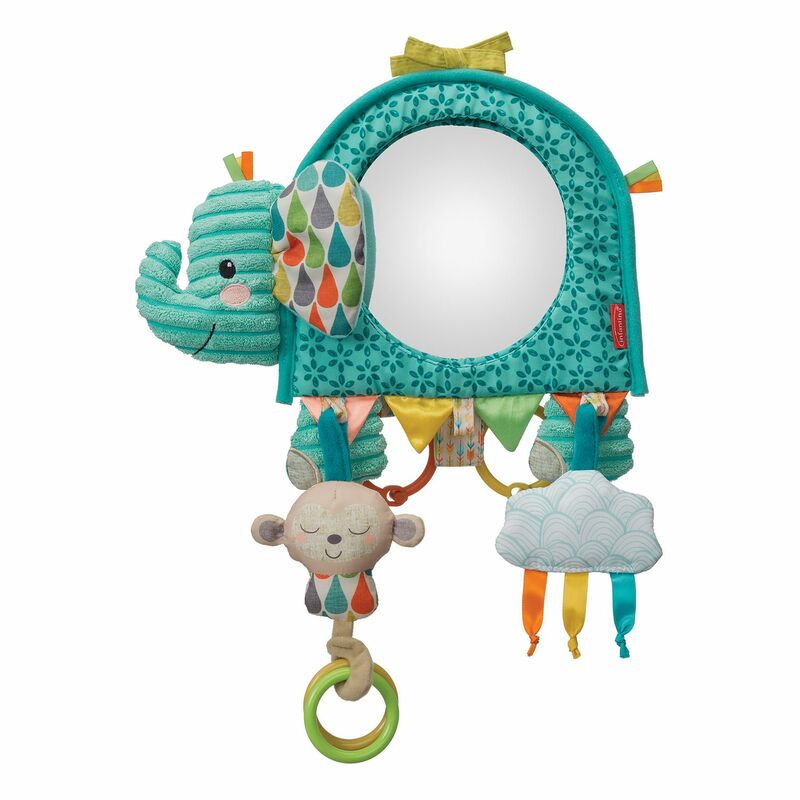 Babies will go gaga for this feature-filled activity mirror. 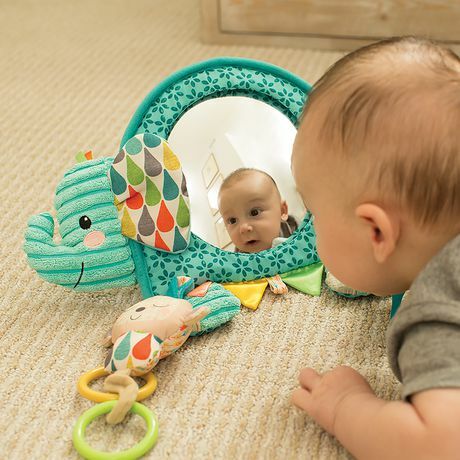 It's loaded with lots of development delights including fun pals, vibrant colors and must-touch textures. 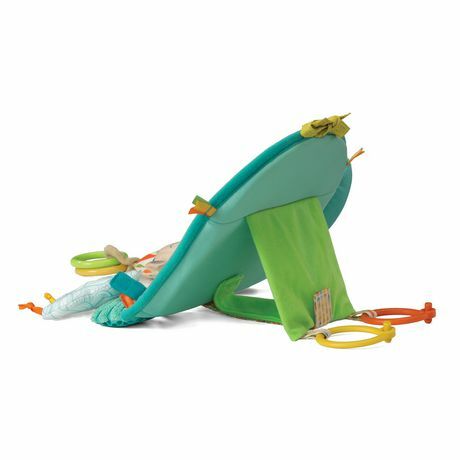 Easily attaches to car headrests and cribs, plus the flip-up stand is perfect for tummy time or sit-up play!